Moved by the most profound feelings of fraternal love and joy for the Savior of the World born in Bethlehem, I congratulate the archpastors, clergymen, monastics and all the faithful flock of the Russian Church Abroad on this great and holy feast of the Nativity of Christ! The X Annual Saint Herman's West Youth Conference was held at Holy Ascension Church of Sacramento and Saint Silouan's Monastery of Sonora from the 26th to the 30th of December 2016. His Grace Bishop Nikolai (Soraich) and the community of All Saints Russian Orthodox Church moved into a new facility which was blessed on February 19, 2017. A photo gallery of that event and others in the life of parish may be seen here. On April 2, 2017, Holy Virgin Cathedral hosted the annual Western American Diocese Lenten Retreat. This year’s retreat marked the tenth anniversary of the diocese putting on these retreats at the cathedral (but the 9th actual retreat, there was no retreat in 2014). As has been the case every year, retreat attendees spanned a range of ages and came from a large number of parishes across northern California. For the third straight year, attendees have also included people from out-of-state parishes who amended their travel plans so that they could attend. 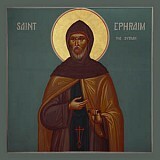 The Lenten Prayer — ‘of St Ephrem’? A Few Observations on a Varied Textual Tradition, a lecture by Right Reverend Professor Irenei, Bishop of Sacramento. On May 13, 2017, Archpriest Alex Kotar, clergy and laity of Saint Nicholas Cathedral in Seattle, WA, received the Holy Fire that descends on the Tomb of the Lord in Jerusalem on Holy and Great Saturday. On May 4/17, 2017, His Eminence Kyrill Archbishop San Francisco and Western America issued Decree No. 7E/2017 in which he bids the clergy and faithful of the Western American Diocese of the Russian Orthodox Church Outside of Russia to celebrate the 10th Anniversary of the Reconciliation within the Russian Orthodox Church, which took place 10 years ago on the Feast of the Ascension of the Lord. On 4/17 of May, 2017, the Russian Orthodox Church marked the 10th Anniversary of the signing of the Act of Canonical Communion between its two parts that had been separted by historical circumstances for almost 90 years. It is easier for Western Christians to articulate how people are saved because their purpose for salvation is narrower and their audience is broader. From the eleventh century on Western salvation became preoccupied with justice and the wrongs our sins did against God. Salvation was suddenly a transaction Christ took care of on the cross when he purchased our debt owed to God and covered our filthiness with His righteousness. Beneficiaries of this transaction became individuals who pray the “sinner’s prayers”. On May 25, 2017, the feast of the Ascension of the Lord, His Holiness Patriarch Kirill of Moscow and All Russia performed the rite of the great consecration of the Church of the Resurrection of Christ and the Holy New Martyrs and Confessors of Russia in Sretensky Stavropighial Monastery in Moscow, and officiated at the celebration of Divine Liturgy that followed. Attending the services was Russian President Vladimir Putin. After Liturgy, His Holiness met with bishops of the Russian Orthodox Church Outside of Russia headed by His Eminence Metropolitan Hilarion of Eastern America and New York. On Monday May 29, 2107, the National Holiday Memorial Day, members of the Western American Diocese made an annual pilgrimage to Fort Ross State Historic Park on the shores of Central California about an hour’s drive north of San Francisco. The 100 or so pilgrims were a welcome sight this year! On 7th June 2017, the Ruling Bishop of the Western American Diocese, His Eminence Archbishop Kyrill, celebrates the 25th anniversary of his episcopal consecration — first as Bishop of Seattle (1992), and later as Bishop (2000) and then Archbishop (2003) of San Francisco and Western America. Not only is such an anniversary a moment of significance for the Archbishop himself, inviting his own private reflections on a quarter-century of Archpastoral service and labours before God; it is also a moment of significance for the Diocese, and indeed for the Church as a whole, which gives glory to God for the whole Hierarchy of her devout clergy of all ranks and offices, who in the long service of her Archpastor have been called to lead Godly lives and approach the Heavenly Kingdom in the ancient and essential context of our hierarchical life. 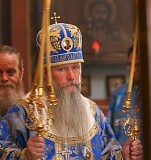 By Resolution of the Council of Bishops of the Russian Orthodox Church Outside of Russia held at the in the Convent of Grand Duchess Elisabeth the New-Martyr in Buchendorf, Germany, from the 27 May/6 June through the 3/16 of June, 2017, Archpriest Vladimir Derugin, Rector of Protection of the Holy Virgin Church in Palo Alto, CA, has been awarded the dignity of wearing the mitre for 40 years of zealous, pastoral service to the Holy Church. Below is a video of the presentation given by Matushka Maria Potapova at a symposium on Saint John of Shanghai and San Francisco the Wonderworker, which was sponsored by the Saints Cyril and Athanasius Institute for Orthodox Studies held in San Francisco, CA, on June 30 & July 1, 2016. 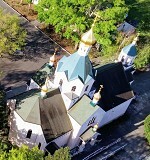 The Council of Bishops of the Russian Orthodox Church Outside of Russia held at the in the Convent of Grand Duchess Elisabeth the New-Martyr in Buchendorf, Germany, from the 27 May/6 June through the 3/16 of June, 2017, resolved that Archpriest Alexander Lebedeff, Rector of Holy Transfiguration Cathedral in Los Angeles, CA, be elevated to the dignity of protopresbyter for his many years of zealous, pastoral service to the Holy Church. On September 19, 2017, the main building of the St Tikhon Humanitarian University in Moscow hosted an evening marking the 10th anniversary of the reestablishment of unity between two parts of the Russian Church—in Russia and in the diaspora—the signing of the Act of Canonical Communion. The event included the presentation of a new Russian-language book compiled by Protopriest Peter Perekrestov: Pastyr. Uchitel’. Drug. Svjatitel’ Ioann Shanghaiskij i San-Fransisskij v vospominanijakh sovremennikov [Pastor. Teacher. Friend. St John of Shanghai and San Francisco as Remembered by Contemporaries]. Attending the event were clergymen and students of the university as well as a multitude of venerators of St John. On September 21, 2017, His Eminence KYRILL Archbishop of San Francisco and Western America instructed his clergy and through them all the faithful of the Diocese to pray for those who have suffered from the recent earthquakes in Mexico City. With horror and pain in my heart I have followed reports of the recent atrocity in Las Vegas, as a result of which so many are dead and many more are injured. Our prayers, deepest feelings and sympathies are with all those affected by this unimaginable cruelty. We offer our prayers at the holy shrine of St John (Maximovich) the Wonderworker of Shanghai and San Francisco, which contain his incorrupt, healing and life-bearing relics; and we fervently plead for his Godly intercessions, to warm and comfort the relatives of the reposed and those undergoing treatment in hospitals and elsewhere, and to appeal to the Lord of All that He would send His heavenly peace into the hearts of all men. On Wenesday the 4th of October Nicholai (Kolia) Soin (1930-2017) peacefully reposed in the Lord after brief, unexpected illness. Known by his nickname “The Invisible Angel,” he was a tireless laborer, generous with his time, a unseen laborer of the diocesan cathedral of the Icon of the Mother of God “Joy of All Who Sorrow” in San Francisco, CA. He was always working at the cathedral when no one was around, sometimes late at night. We at Russian American Community Services (RACS) are supporting the humanitarian efforts of Sts. Peter and Paul Church, our sister parish, which is welcoming refugees this very moment. Five parish families have lost their homes and all belongings. The Liturgical Musical Commission of the Synod of Bishops of the Russian Orthodox Church Outside of Russia conducted its 26th Annual Musicians’ Conference in Los Angeles, CA, from the 4th to the 8th of October, 2017. This year’s conference, entitled “Prayerful Sound in the Orthodox Church: Vocal Artistry of the Deacon, Reader and Singer at Divine Services,” was attended by 70 participants including the clergy. This year marks the 10th Anniversary from the appearance of the Iveron-Hawaiian Myrrh-streaming Icon of the Most Holy Theotokos (2007-2017), which though was first manifest within the bounds of the Western American Diocese of the Russian Orthodox Church Outside of Russia, is venerated and treasured by the Orthodox throughout entire United States of America and beyond, as she has even been abroad traveling to the land of Georgia. 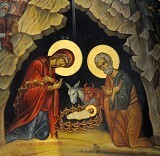 The Most Holy Theotokos through Her fragrant and miraculous myrrh brings peace and healing to all. His Eminence KYRILL Archbishop of San Francisco and Western America issued new petitions requesting God’s mercy for those who have suffered from recent natural disasters and at the hands of those who have committed violence. On Saturday, October 8/21, the occasion of its 15th anniversary, St. Martin the Merciful Church in Corvallis, Oregon received its Great Consecration. Presiding at this event was His Eminence, Archbishop Kyrill of San Francisco and Western American, assisted by Bishop Theodosius of Seattle and Bishop Irenei of Sacramento, eight priests, and four deacons. A great number of parish faithful, and visitors from as far away as Greece, attended this joyful occasion. On Sunday the October 29th, 2017, His Grace THEODOSY Bishop of Seattle served Divine Liturgy at Saints Peter and Paul Church in Santa Rosa, CA, which has recently suffered from many wildfires in that region. 14 families (45 people) from the parish of Saints Peter and Paul and the parish of Saint Seraphim of Sarov (OCA) have lost their homes and possessions in the wild fires of Sonoma and Napa Counties. On Monday November 6, 2017, His Eminence Kyrill Archbishop of San Francisco and Western America presided over Divine Liturgy on the Feast of the Diocesan Cathedral on honor of the Icon of the Mother of God “Joy of All Who Sorrow” in San Francisco as the clergy and faithful of the Western American Diocese gathered to mark the diocesan-wide celebration of the 10th Anniversary of the restoration of Canonical Communion between the Russian Orthodox Church Outside of Russia and the Moscow Patriarchate, and the 25th Anniversary of Archbishop Kyrill’s consecration to the episcopacy. The Eminent Bishops, priests and deacons of the Diocese have issued a Resolution in which are addressed the centennial of the Bolshevik Revolution with its tragic effects, and the joyous celebrations of the 10th Anniversary of the signing of the “Act of Canonical Communion” between the two parts of the Russian Church and the 25th Anniversary of Archbishop Kyrill’s consecration to the episcopacy. On Sunday October 29, 2017, the choir of the Church of All Russian Saints in Burlingame, CA, performed a concert of sacred music which was dedicated to the memory of the reposed choir member Konstantin Senchukov. The program included such hymns as Ave Maria (Optina Hermitage chant), Polyeleos at matins (Kastalsky), It is truly meet (Tchaikovsky), and more. Proceeds from the concert went towards support of the parish stewardship program. 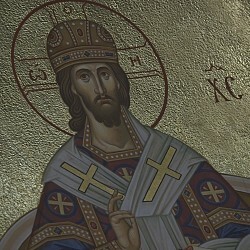 The Holy Council of Bishops, which took place in Moscow from the 29th of November to the 2nd of December 2017 in the city of Moscow in the Cathedral Church of Christ the Savior, greets all of you with the words of the apostolic salutation: “Now the God of patience and consolation grant you to be likeminded one toward another according to Christ Jesus: That ye may with one mind and one mouth glorify God, even the Father of our Lord Jesus Christ” (Romans 15:5-6).